In January of 2013, the roughly 700 cases of the flu, including a few flu-related deaths, in Boston prompted Mayor Thomas Menino to declare a public health emergency for the city. At the worst of the outbreak, community health centers and primary care physician’s offices were flooded with sick patients. Even at hospitals, people had to wait more than a day to get admitted for severe symptoms. In total, 45 percent of the U.S. population ages 6 months and older received the flu vaccine during the 2012-2013 season,according to the U.S. Centers for Disease Control and Prevention. At the event, held by the National Foundation for Infectious Diseases, medical experts stressed the importance of getting that other 55 percent vaccinated. Are you one of the vaccine holdouts? Below are five rebuttals to the common reasons people pass on the flu shot and risk infection. I’m young and healthy. So what? Influenza can strike the healthiest of people and make them very sick. 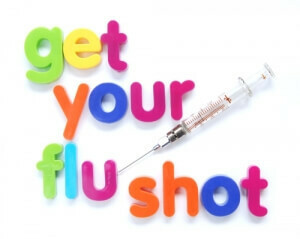 In 2010, the CDC’s Advisory Committee on Immunization Practices issued a universal recommendation that everyone 6 months of age and older get the annual flu vaccine. I never get the flu. Never say never. As Howard Koh, assistant secretary for health in the U.S. Department of Health and Human Services pointed out at the conference, “Flu season is predictably unpredictable.” While 2011 may have been a mild season, think back to the deadly 2009 H1N1 pandemic, or just last year, when flu season hit early and intensely. Schaffner, who is also the past-president of NFID, suspects two reasons for why people insist they get sick after receiving the vaccine. For one, there are a few minor symptoms some people experience after the injection, including soreness and a low-grade fever. But these symptoms are mild and don’t last very long – and they certainly won’t lead to the flu. The other reason people may associate the flu shot with feeling sick? 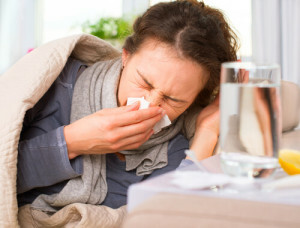 Schaffner pointed out that sometimes folks just happen to catch one of the many cold viruses that circulate and attribute it to the flu vaccination they received a few days earlier. But alas, the timing of the vaccination and catching the cold was just an unhappy coincidence. Source: www.usnews.com; Laura McMullen; September 30, 2013.